Chinese official promised on March 9 that the country is ready to accelerate the negotiations progress on the Regional Comprehensive Economic Partnership (RCEP) and the trade agreement between China, Japan and the Republic of Korea (ROK). In the government work report delivered at the second session of 13th National People’s Congress (NPC), China includes trade and investment liberalization and facilitation into its prior missions for 2019 and also lists the two agreements as sub-tasks. 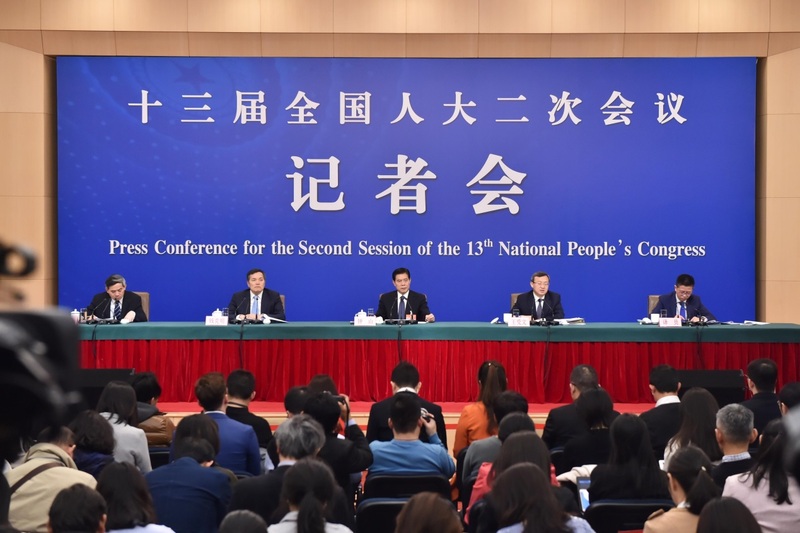 It reveals the importance Chinese government attaches to the two pacts, as well as its support for progress from the negotiations, Vice Minister of Commerce Wang Shouwen told a press conference on the sidelines of the annual legislative session. Describing RCEP as an agreement of great significance, Wang said that putting the negotiations high on their agendas, the 16 members envision to reach a comprehensive, high-quality, mutually beneficial and modern free trade agreement. They represent 48 percent of the entire global population and contribute to around 30 percent of the world’s GDP and trade, he added. At a summit on RCEP held in Singapore last November, participating leaders of the members agreed to keep up with their efforts so as to clinch the deal at an early date, in a belief that talks on the pact have reached the final stage. China supports the ASEAN’s leading role in the talks, and hopes Thailand, as this year’s rotating chair, could push the RCEP negotiations for further progress, Wang said. He said China will hold a subsequent meeting this July, when over 700 representatives from other 15 members will come to China and discuss on technical issues including entry permits for commodities, services, and investment. China is making active efforts for a consensus on the three agendas among all sides, Wang said. He expounded that consensus has been reached on seven of the 15 chapters under the agreement, and China will work on consultations on the unfinished ones among involved sides. China, Japan, and the ROK aim to reach a free trade agreement with unique value, Wang said, describing it as a “RCEP+” version as the three sides expect more favorable policies than RCEP pact in accession permits of goods, services and investment. After the delegates from the three countries met in Beijing last December, they will hold three meetings this year to speed up the talks, said the vice minister, adding that the next round of consultations will start soon in Japan. China looks forward to, together with Japan and the ROK, work on an early conclusion of the negotiations, in order to facilitate regional economy integration, free trade and investment, he said. RCEP is a proposed free trade agreement between the 10 member states of the ASEAN and the six Asia-Pacific states with which ASEAN has existing free trade agreements – Australia, China, India, Japan, the ROK, and New Zealand.